Workover rigs and workover rig packages are our specialty. We supply different kinds of workover rigs, drilling and workover rig packages including onshore and offshore workover rigs at very competitive prices. All of our workover rigs, onshore and offshore drilling workover rig packages meet the industry standards established by the American Petroleum Institute (API). As a global supplier of quality workover rigs to the oil and gas industry, we ship our workover rig packages around the world. Besides workover rigs, we supply drilling rigs, top drives, triplex mud pumps, blowout preventers, BOP control systems, solids control equipment, oil country tubular goods, etc. Please visit our company website or download our comprehensive catalog to see our full line of products. 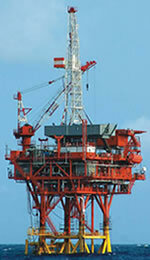 Our product line includes offshore and onshore workover rigs, which range from 150 HP to 1,000 HP. The service depth of our workover rigs usually equipped with Caterpillar diesel engines and Allison transmissions is from 8,000 ft to 30,000 ft. We supply a full line of drilling rig packages: skid-mounted drilling rigs, truck-mounted drilling rigs and trailer-mounted drilling rigs. Our skid-mounted drilling rigs include diesel electric AC/VFD or DC/SCR drive rigs, mechanical drive rigs, and combination drive rigs, from 1,000 HP to 6,000 HP. Our truck-mounted drilling rigs range from 450 HP to 1,000 HP.